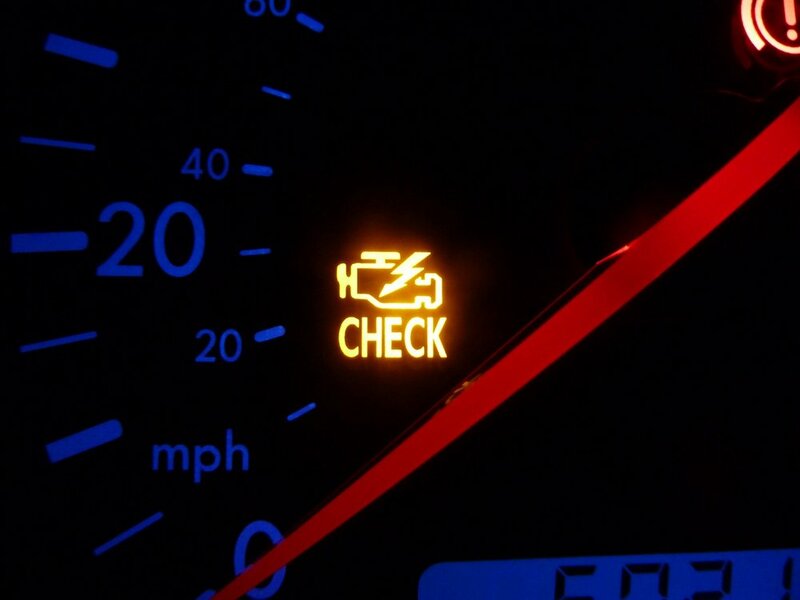 There are estimates that say that at any given moment, at least 10 percent of all cars on the road are driving around with their Check Engine light on. Personally, I think that’s pretty low. I’ve hopped in a lot of cars where that little light was illuminated. The crazy thing is that this tiny light is telling the driver that there is something wrong with the vehicle as soon as something is amiss. A relatively small investment when the light initially illuminates would prevent a much larger cost later on down the road when the problem has grown. Because inevitably, a small problem in any machine will start to put additional stress on the rest of the machine. These stresses cause other parts to wear prematurely as the entire system is compensating for the faulty part. Ultimately, if the problem persists long enough, even the smallest initial problem could result in a catastrophic failure. Given a choice, I’m sure most of us would rather spend $100 fixing a small problem, instead of having to spend $1000 fixing a more complicated problem, or even worse, having to replace the car entirely! But we’re not given the choice when the Check Engine light pops on. We don’t know what the little problem will turn into down the road if left unchecked, so the consequences don’t register with us. And $100 seems like a lot of money right now when there are other things that we need to do or buy. Our culture is not good at foresight, thinking about the downstream consequences, long-term planning, and delayed gratification. It’s one of the reasons why Americans do such a poor job of saving for retirement; tomorrow is so far off in the distance and there’s so much we need to do today! It comes as no surprise then, that we treat our bodies just as badly as we do our vehicles. According to the 2012 NHIS (National Health Interview Survey), 55% of Americans interviewed had experienced some type of pain in the past 3 months. More than 1 out of every 10 interviewed had experienced pain every day over the past 3 months. With numbers like these, it sheds a bit of light on the opioid/painkiller epidemic; after all, who has the capacity to live every waking moment with pain? While there are many different types of pain, I’d like to focus on pain that comes from non-illness-related, non-traumatic musculoskeletal issues. Musculoskeletal means that you’re feeling pain in joints, muscles, and other soft tissues. Non-illness-related means that it’s not the result of any sickness. Non-traumatic means that it’s not the result of some clearly experienced trauma, like a car accident or a fall. If you sprained your ankle playing tennis, obviously the pain is the result of the accident and given time to heal from the trauma, the pain should subside. In most scenarios where there is no illness and there is no traumatic experience, the body is using the pain as a Check Engine light; it is telling us that there is something wrong with what we are doing, often mechanically. The problem is it requires a little bit of detective work in order to figure out exactly what the cause is and many people aren’t willing to invest the time. Unfortunately, the traditional response is to “walk it off” or push through the pain. Many individuals ignore the warning and continue to do whatever they’ve been doing. The hope is that they get stronger and the nagging pain goes away. Others choose to mask the pain by using painkillers and then return to the same activities. But they haven’t resolved the issue and when the painkillers wear off, they’re right back where they started. All of these responses are essentially putting a piece of tape over the Check Engine light and kicking the can down the road! Initially, we may find that we can get by this way; but over time, the small initial problem starts to create a cascade of other problems as the body uses the only mechanism it has to communicate with us: pain. The body starts to scream louder about the problem to get our attention. And ultimately, if we don’t respond to the body’s call, the problems grow until there is a catastrophic failure. Perhaps the body is overfatigued; maybe we’ve overtrained; or quite often, maybe there is something wrong with our body mechanics and the way we move. The solution is to figure out WHY we’re experiencing pain and come up with a game plan to address the root cause. I was experiencing some regular pain in my right knee and hip for a while this summer. At first, I started to wonder if it was just age. Rather than try to “push through it”, I backed off and tried to pay attention to WHEN I felt pain. Through the course of the day, I started paying close attention to my right leg to see if anything unusual cropped up. Sure enough, whenever I was squatting, I felt a twinge in my right quad, specifically the rectus femoris. I focused on that area with my Trigger Point Massage Ball and found a really painful trigger point. After a few days of myofascial release, the knee and hip pain completely subsided and I’m back to my normal routine. But I think of how many other people would have ignored the pain, possibly created bigger issues, and ultimately, might have ended up needing some sort of medical intervention, like surgery. The reality is I must have done something to create a situation where that trigger point formed, but if I immediately popped some painkillers, I would have probably thought the pain was the result of hip or knee issues. And that would have been what I unknowingly communicated to a doctor if the pain was around long enough for me to decide to get some help. If we only paid more attention to our bodies, we could avoid catastrophic problems, avoid the side effects of painkillers or surgery, and live longer healthier lives.